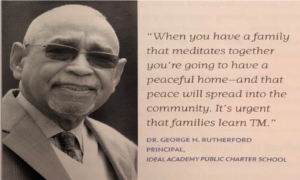 The Meditation Center (TMC), a division of the David Lynch Foundation, opened its doors in January 2018 to promote the health and well-being of residents in Wards 7 and 8. 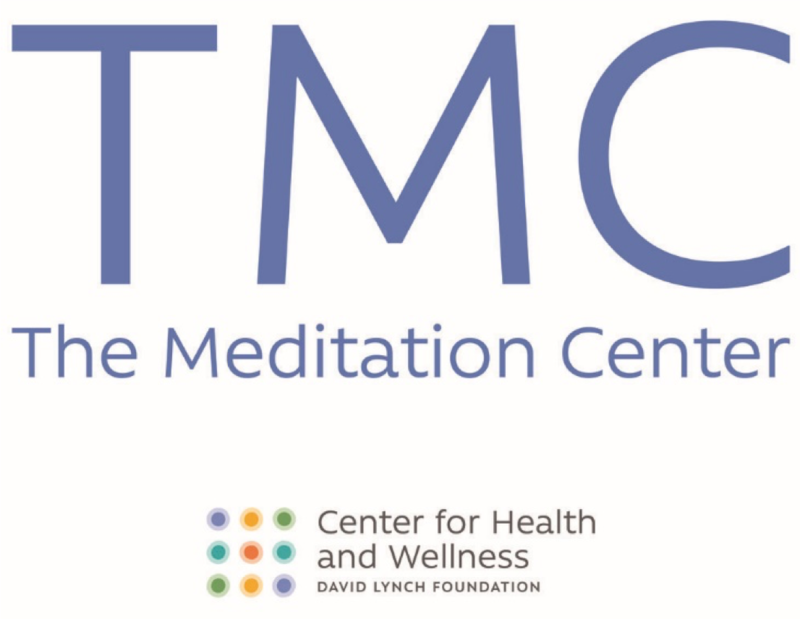 TMC serves youth, adults, and seniors by offering courses in the evidence-based Transcendental Meditation® (TM) technique. In addition, TMC partners with the 13 other community service organizations at THEARC to teach their staff and clients to meditate. TMC fully supports THEARC’s mission of improving the quality of life of southeast Washington residents and revitalizing the whole community. The David Lynch Foundation (DLF) is a 501(c)(3) nonprofit organization, founded in 2005, that addresses the epidemic of trauma and toxic stress among under-resourced populations by offering courses in Transcendental Meditation. DLF has served more than one million children and adults worldwide, with a focus on underserved youth, veterans suffering from post-traumatic stress, and women and children survivors of domestic violence and sexual assault. DLF also works with those dealing with substance use disorder, the homeless, prison populations, people living with HIV/AIDS, and others. Transcendental Meditation is a simple, easily-learned technique, practiced for 10 to 20 minutes twice a day, sitting comfortably in a chair with the eyes closed. During TM, the body gains a deep state of relaxation while the mind is settled and wide awake and the brain functions with increased orderliness and coherence. More than 400 peer-reviewed studies verify the benefits of Transcendental Meditation for mind and body, including reduced stress and stress-related disorders, such as high blood pressure, anxiety, depression, and insomnia, while also increasing creativity, energy, and focus. TM is taught in a 4-step course of personal instruction by a certified teacher. Introductory talks are held at The Meditation Center @ THEARC every Wednesday at 12 noon and 6 pm. Our commitment as a resident partner at THEARC is to make the TM technique available to everyone within the Ward 7 and 8 communities, including family and friends of THEARC and its agency partners. Course instruction costs are on a sliding scale based on household income.